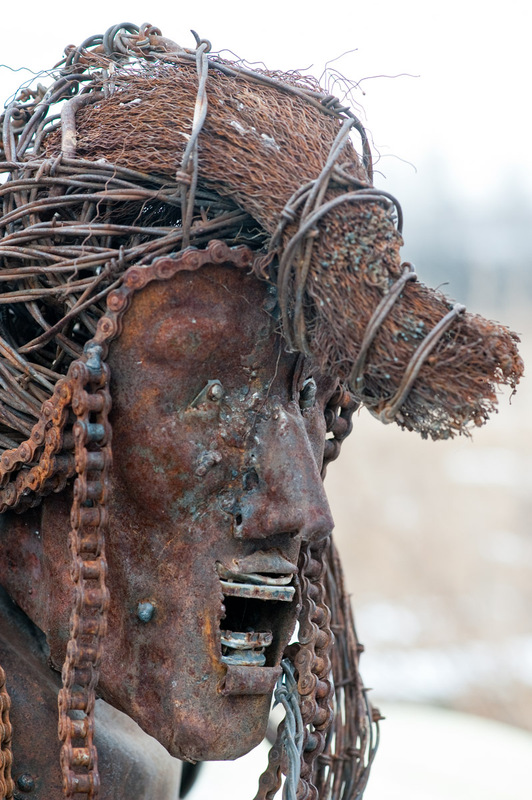 Jay Laber is an amazing artist living in St. Ignatius, Mont. 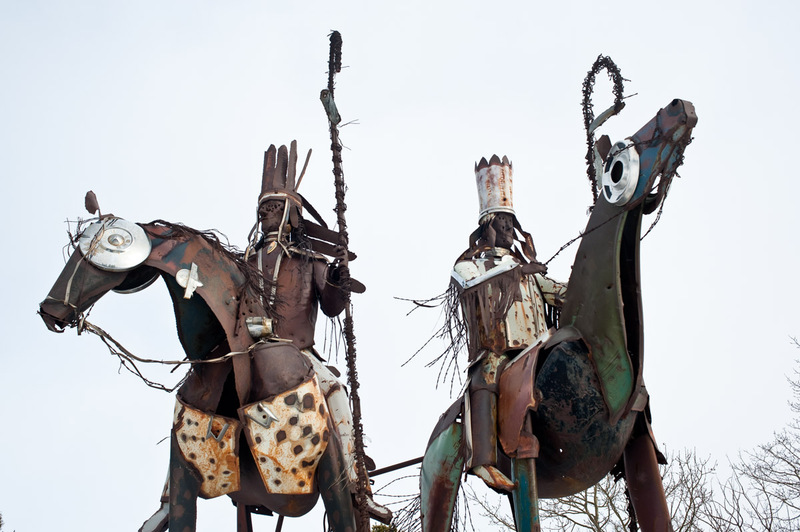 He makes wonderful, alive sculptures out of junk: old car parts mostly, many remnants of old cars blown apart by a terrible flood that hit the Blackfeet Indian Reservation in 1964. 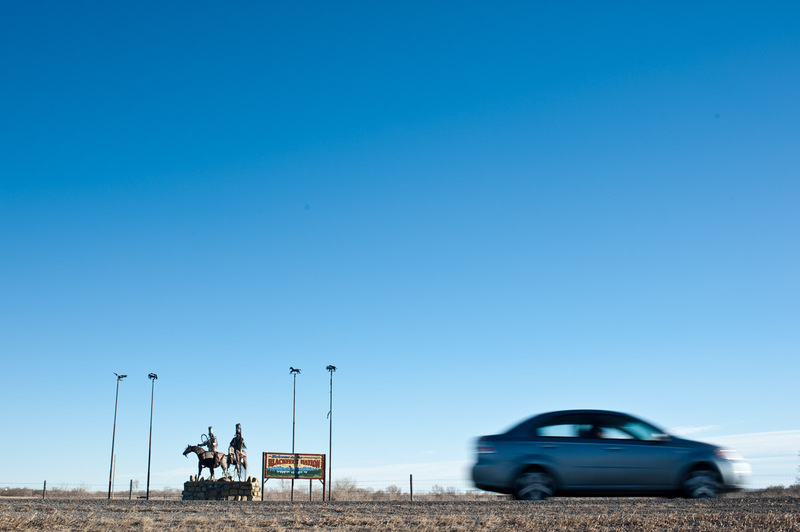 Now some of those car parts make up sculptural sentries guarding the four entrances to the reservation. And sculptures aren’t all that Laber can do. 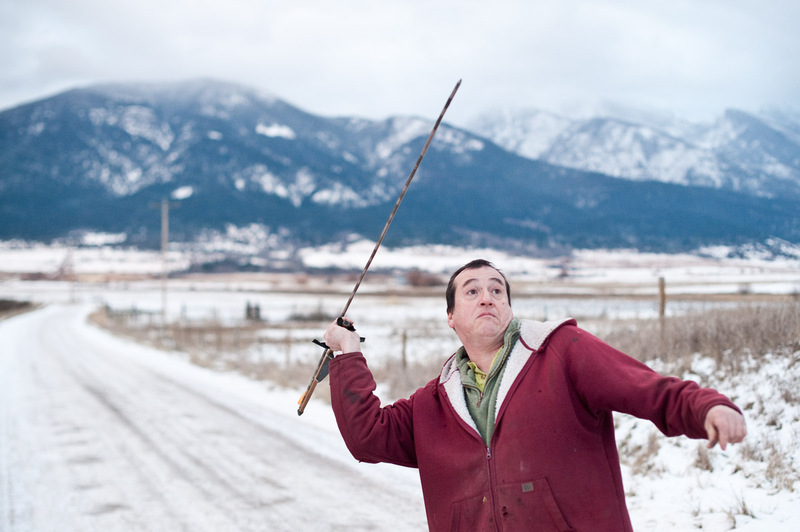 He can make flutes out of PVC pipe, he makes and uses his own throwing knives, and he makes his own bows and arrows. But the thing I thought was really cool when I met him is that he can make and actually hunt with an atlatl, a prehistoric hunting tool. This is a rare skill and Jay is a rare man. It was a privilege to hang out with him for a couple of hours. 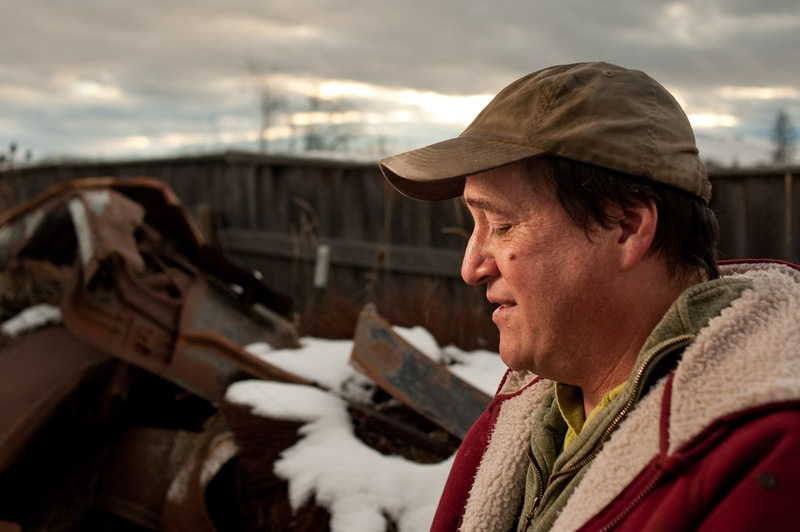 For an excellent profile of Jay written by my friend Scott McMillion, pick up the latest copy of Montana Quarterly.